Are we at Sea Ranch yet? No, Virginia, we're at SFMOMA taking in their current architecture and design show. Usually Ciwt passes on such shows on top of which the whole Design area of SFMOMA is nearly hidden around a barely noticable blind corner on the 6th Floor. But today she was glad she made the effort because they had built a 'typical' Sea Ranch house for her and other mueum goers to hang out in and equipped it with a TV that told the Sea Ranch story. That meant she didn't have to study all the original architectural drawings. Many people really enjoy poring over those, but not Ciwt. What is Sea Ranch you may ask. It is a planned architectural community about 100 miles north of San Francisco that was developed with great Utopian vision and 60's idealism, saw some of those smashed and has now become a tranquil (if Very Windy) vacation favorite (for architectural purists and people who like to ramble and read books in near absolute silence). One New York Times writer who visited says the median age of visitors was 69 when she was there. It is a fun article is you feel like reading. 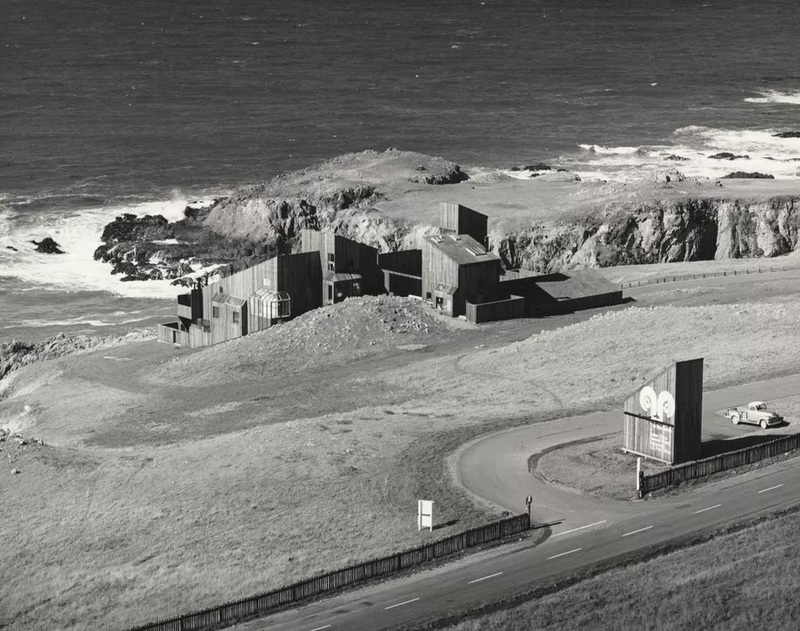 The Sea Ranch: Architecture, Environment, and Idealism runs until April 28 at SFMOMA.